Even though we're all different, underneath it all we share in being human. 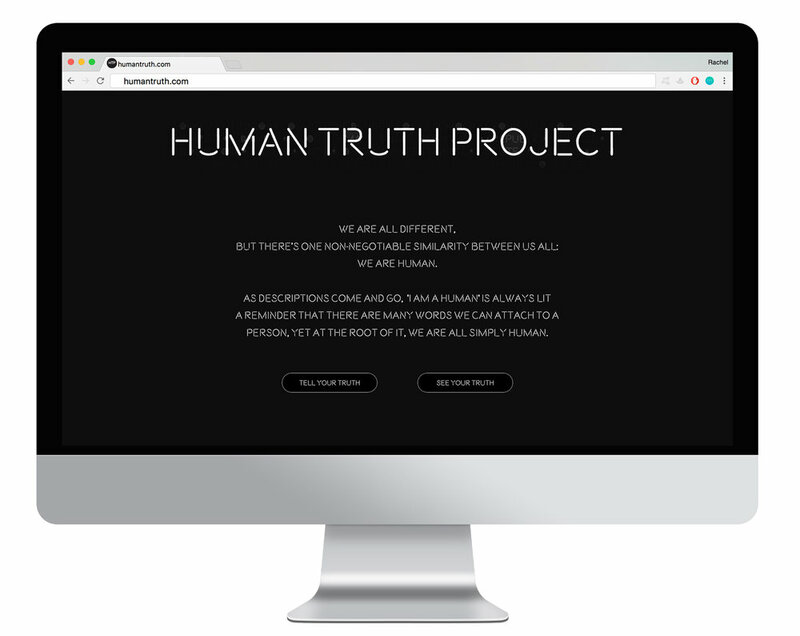 The Human Truth project is a movement meant to get people past their differences and remind them that we all have something in common. We put a neon sign in a high-traffic space with hundreds of different adjectives on it. 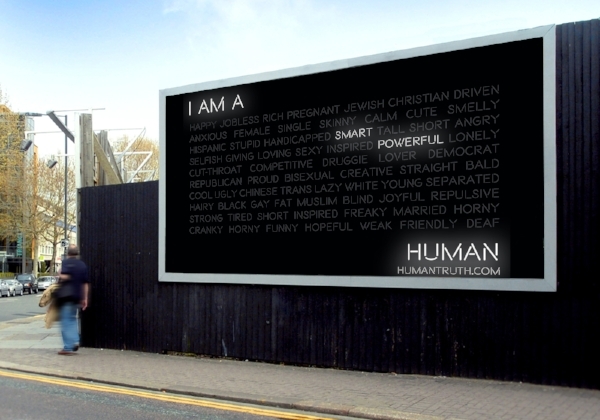 By tweeting who you are @HumanTruthProject, the corresponding words light up on the billboard in real time. "I am a Human" stays lit no matter what combination of adjectives are, we all share something.